Inside a heat recovery ventilator, one fan draws outdoor air in and another fan blows stale room air outside. Both fans blow the air through a central heat-exchange core that extracts the heat from one air stream and transfers it to the other. In some units, the incoming air is filtered on its way through. 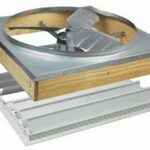 Heat recovery ventilatiors are manufactured by several major manufacturers, including Broan, Fantech, Honeywell, Panasonic, and more. Different manufacturers employ varying technologies to perform this heat-transfer magic. Some send opposing air streams through alternating layers of aluminum plates. Carrier’s Comfort Ventilator utilizes a polypropylene core to transfer heat and separate the incoming and outgoing air streams. 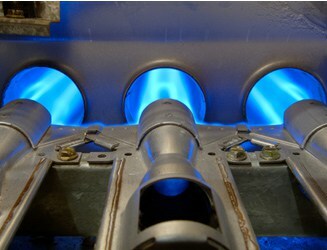 Another type of exchanger transfers heat with refrigerant-filled pipes. None of these plate or pipe-type heat exchangers transfer any humidity (water vapor) from one air stream to the other. The Soler & Palau has a fixed-plate type of heat exchanger that uses a patented, resin-impregnated paper core. Like the Honeywell model, this allows water vapor—and the latent heat it contains—to move from one air stream to the other. In addition to reclaiming some heat, this exchanger pre-humidifies or dehumidifies incoming air to a comfortable range of 35% to 45% in most climates. Condensation can collect in most HRVs when warm, moist air contacts the exchanger’s surfaces in very cold weather. This moisture can freeze, blocking air flow. Liquid condensation is collected in a condensate pan or carried away by plumbing. Because the Honeywell and Soler & Palau models transfer water vapor, they don’t produce condensation. Some units have electrical anti-frost heating elements that automatically turn on at about 10 degrees Fahrenheit. In addition tompreventing freeze-up, these slightly warm incoming air. Others have a system of dampers that periodically recirculate room air through the unit when temperatures drop below 20 degrees F.
HRVs are operated by a wall-mounted control. Most manufacturers offer more than one model. For example, with the Honeywell model, you can set the HRV to exchange air continuously, to turn on only when humidity exceeds a certain level, or simply to circulate indoor air until humidity gets too high and then to exchange indoor and outdoor air.